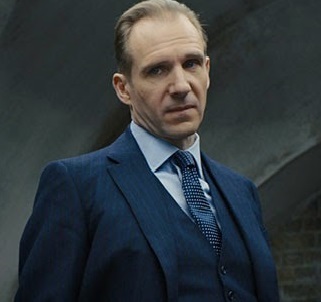 Ralph Fiennes as the new "M," the head of Britain's MI-6 "Double-O" spy service. According to the writers of the latest (and 24th) James Bond flick, the greatest threat to civilization right now is the centralized control of intelligence, data and undue intrusive digital surveillance by the criminal geniuses at that nefarious criminal cartel that goes by the name of "SPECTRE." Back in the good old days, Agent 007 was sent to save the world from nuclear blackmail, errant satellites, cornering the gold market and so on. In 2016 we're treated to a crusade to rid the world of super computers and spy cameras. If that comes across as sounding slightly less than scintillating, that's the point. Spectre opens in bravura Bond style with an intriguing locale, powerful pyrotechnics, astonishing heroism and awesome effects. Unfortunately, after the first half hour the movie becomes dark and dour and plods on for a total of two and a half hours which must set a running time record for the Bond franchise, which is not a good thing. The climax of the movie, when it finally arrives is really an anti-climax because the very best part of the film was in the beginning. 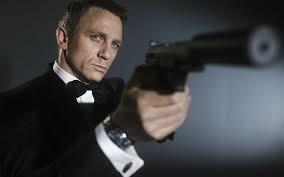 Daniel Craig is a superb James Bond, probably the best since Sean Connery. Craig gives 110 percent to everything he does in the film. Also very good is Ralph Fiennes as the new "M," the head of Britain's MI-6 "Double-O" spy service, replacing Judi Dench in the role. The movie's shortcomings don't lie with Craig or Fiennes, it lies with the story, the writing and the directing. The writers conducted an archeological dig to unearth SPECTRE, first introduced in 1962's Dr. No. SPECTRE is an acronym for "Special Executive for Counter-intelligence, Terrorism, Revenge and Extortion," lead by the scar-faced Ernst Stavro Blofeld (played by Christoph Waltz). Viewers are tasked with accepting essentially a reboot or alternate introduction of SPECTRE in 2015 as if no one had ever seen any Bond films from the 60s or 70s, which is a mighty big stretch. The producers may be thinking about young people and future generations with the SPECTRE reboot but for veterans nothing about 2015's SPECTRE seems as menacing as prior iterations. I couldn't shake flashbacks to the Austin Powers films (major Bond parodies) and Mike Meyer's "Dr. Evil." One scene in particular comes to the fore - Seth Green playing Dr. Evil's son Scott confronts his Dad about the idiocy of giving Austin Powers a tour of the facilities, explaining the master plan and keeping him alive. Scott wants to just put a bullet in him. Dr. Evil won't hear of it. In Spectre, Blofeld proffers Champagne, shows off his impressive secret lair constructed inside a crater in the Tunisian desert and despite thousands of bad guys at his disposal manages to be defeated in a matter of minutes by a small explosive hidden in Bond's watch and a few well aimed shots from a machine gun at some kind of a gas line. It's like the producers just phoned it in. It seems like something right out of Austin Powers. A parody of a parody. It should be noted that this is not the end of the film, it goes on for another 20-plus minutes. The "Bond Girls" in this film, Monica Bellucci as a not so grieving widow of a top SPECTRE leader (who succumbs to Bond's charms in nanoseconds and spills everything) and Léa Seydoux as the main female heroine (of course she's a doctor), while competent brings no frisson to the film. Nothing is shaken or stirred. Neither of these comely ladies possess the jaw-dropping, awe-inspiring looks of many a prior Bond babe. These two seem kind of real, which is not why guys go to Bond movies. Spectre is worth seeing, but on your home flat screen for no more than $4.95. Die-hard Bond fans will like it but it could have been vastly improved by cutting 30 to 40 minutes. The film gets a "B" rating because of Craig, the cinematography, the sets and the special effects.